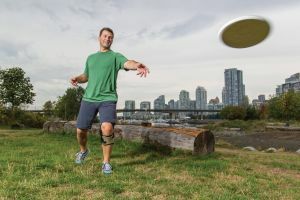 If your doctor has recommended a knee brace Physio In Motion can help you select the right brace in the comfort of your own home. We will attend your home with a variety of sample braces from our favorite manufactures so you can see and feel first hand the best knee braces available. Rigid knee braces are custom made from a 3D digital model of your leg and manufactured by hand out of either aluminum or carbon fibre. Soft knee braces are typically manufactured in a range of sizes to fit legs of all sizes. When necessary even soft braces can be custom manufactured to your exact specifications. The bracing specialist from Physio In Motion will measure you for the appropriate product during the visit. Measurements range from two simple measurements with a tape measure to sophisticated digital measurements, caliper measurements and photographs. Your injuries or chronic condition will dictate the type of brace that best meets your needs. The Physio In Motion bracing specialist will cover the range of options available to you and identify the pros and cons of each option. The great news about modern knee braces is that they are all light and comfortable and very refined. When sized and fitted correctly wearing the brace will quickly become second nature with none of the discomfort you might be expecting. We break knee braces down into two major categories. Knee braces for Osteoarthritis (O/A) and knee braces for injuries. Osteoarthritis knee braces provide support for the knee while also partially unloading the medial (inside) or lateral (outside) aspect of the knee. The unloading effect of the OA knee brace provides instant pain relief as the brace prevents the “bone on bone” contact that was occurring. Post injury knee braces provide support for the knee when a ligament has been damaged or torn. Once you have a prescription from your physician the next step should be to call your extended health insurer (if applicable) and ask about any coverage that you have for bracing. In some cases the insurance representative will tell you exactly how much coverage you have and in other cases they will tell you to submit a predetermination estimate for consideration. Physio In Motion will assist you in the submission of the predetermination on your behalf. Most extended health insurance plans do provide significant coverage for medically necessary bracing. Almost all will require a physician’s prescription before they will consider funding the brace. Get your knee brace at home. Contact Physio In Motion to schedule a consultation with a bracing specialist.